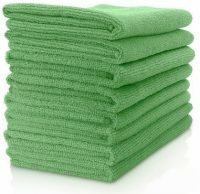 These large microfibre cloths are long lasting, absorbent and softer than standard microfiber ones. They are super soft and give a superior, swifter clean. Use damp with water on your Ecoease panels for a dust free finish. 80% Polyester - 20% Polyamide Ultrasoft Microfibre.